See what questions other people like you have asked. If your question isn’t on this list, just get in touch with us! Can I still use other hair products while I am using the Healthy Hair Tonic? Yes. The Healthy Hair Tonic is made of 100% natural ingredients that exhibit no systemic side-effects and will not react with any other hair products applied to the scalp. The Healthy Hair Tonic is therefore safe to use in conjunction with other products. However, as many hair products available on the market today typically contain chemical compounds that can often damage the hair and scalp, it is recommended to keep usage of such hair products to a minimum if possible. Can I use the Healthy Hair Tonic if I have had hair transplants? Yes. If you have a genetic predisposition to an imbalance of hormones on the scalp, the newly transplanted hair should, in theory, be impervious to the effects of these. However, it is far more often the case that these excess hormones will indiscriminately react with the hair follicles and affect the health of your hair. We therefore strongly recommend using Healthy Hair Tonic to maintain both your transplanted and existing hair. Do I need to continue using Healthy Hair Tonic forever? Once you have achieved the results that you desire, maintaining your healthy hair is paramount. It is important to realise that your body continuously produces hormones. If you should continue to use the Healthy Hair Tonic regularly, it will in turn continue to support the healthy hormonal balance of your scalp. Unlike many other products on the market, however, it is possible for you to gradually decrease the amount and regularity with which you use Healthy Hair Tonic by reducing your usage to a maintenance dose. This will allow you to reduce costs while at the same time maintaining your beautiful hair. Do I need to use any special shampoos or hair products while I am using Healthy Hair Tonic? We recommend either the SRS Balancing Shampoo or the SRS Nourishing Shampoo to support the healing process and to provide a clean and healthy environment for the growth of hair. These excellent products help balance the activity of overactive sebaceous glands and gently moisturise and refresh the scalp and hair to leave your hair feeling silky, smooth and shiny. Does the Healthy Hair Tonic have any side effects? The Healthy Hair Tonic is non-synthetic with zero side effects and is suitable for use by both men, women and children of all hair types. Generally we will discuss your findings with you live during your appointment; however, in case of any special circumstance, all findings and results will be discussed with you within 3 to 5 working days and a solution to solving your problems will be given. Your results and when they begin to visibly develop will depend on how consistent and regularly you use the Healthy Hair Tonic and on how advanced your hair problem was prior to commencing treatment. Generally, you will experience a tingling sensation on your scalp during the first two weeks of treatment, after which you should begin to notice significant improvements in how your hair both looks and feels. Over time, you’ll achieve a healthy scalp that is free of excess oil and hormones, and after this you will begin to notice and enjoy the visible effects of healthy hair. After six to ten months, your new, rejuvenated hair will make your scalp appear fuller and denser. We then analyse the general health of the hair, the state of the hair growth and how advanced any existing problems are. What if I am using hair loss medication? Can I still use Healthy Hair Tonic without any side effects? Yes – but we always recommend that you check with your doctor first if you are unsure. The Healthy Hair Tonic is 100% natural and so should not react with any other medications. You should normally be able to safely use Healthy Hair Tonic without any contraindications. 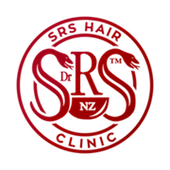 What is a trichologist and how is SRS Hair Clinic different? A trichologist is defined as an individual concerned with the general study of the hair and scalp. This extends to recommending potential hair care tips and ways to promote the health of an individual’s hair. A trichologist is not necessarily an experienced medical practitioner; they cannot prescribe medications or give a medical diagnosis of the state of a person’s hair and scalp. This means the term ‘trichologist’ can often be very misleading; anyone can claim to be a trichologist with only the most basic of knowledge. Our training and expertise extends far beyond that of a trichologist’s. We are specialised to accurately diagnose an individual’s specific hair and scalp issues using information we gain from a comprehensive diagnosis of the individual’s hair and scalp. Every hair specialist at SRS has undergone a thorough, rigorous training programme and this, combined with knowledge and experience gained from the successful treatment of thousands of clients from all over the world, results in SRS being far more advanced in their analysis and treatment of hair loss. What is SRS Healthy Hair Tonic and how does it work? The revolutionary SRS Healthy Hair Tonic is a powerful hair-enhancing formula designed to support healthy hair. Its active ingredients feature 100% natural Himalayan herbs. Suitable for men, women and children of all hair types, it works to improve the overall quality of your hair as well as acting to clean and clear your scalp. When applied to the scalp, Healthy Hair Tonic cleans, clears and unblocks hair follicles. Its potent formula works to nourish and rejuvenate the hair roots on your scalp by supporting a healthy hormonal balance on the scalp. SRS Hair Clinic uses the microscopic hair analysis to determine the cause of your hair loss. Using one microscope, the technician looks deep into the hair sample to see if there is any deformation at the hair root.